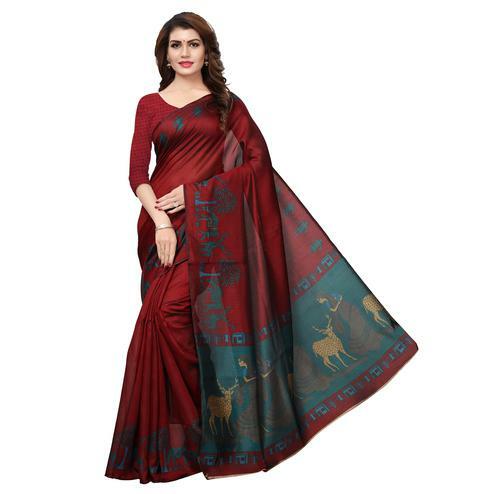 This white - red saree designed using bhagalpuri silk fabric is highlighted with floral prints and solid color border as shown. 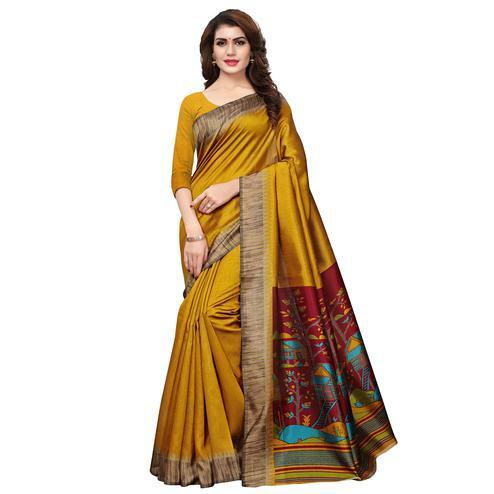 Saree paired with matching fabric blouse piece having floral prints. 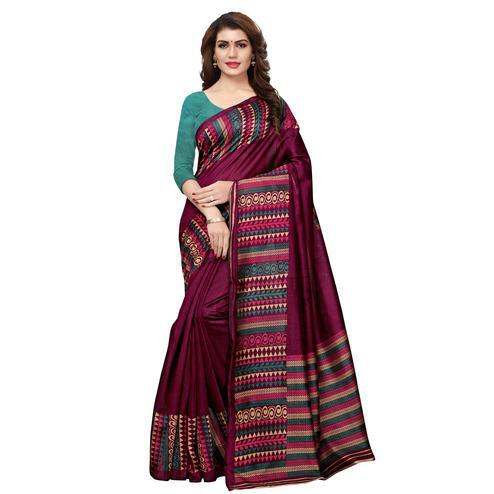 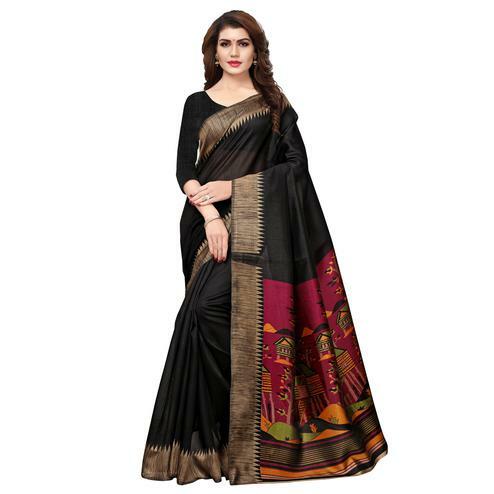 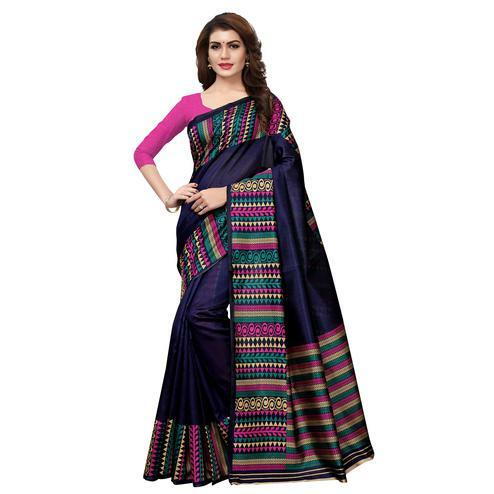 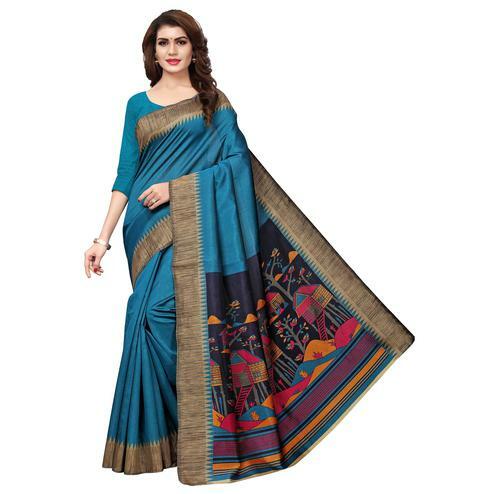 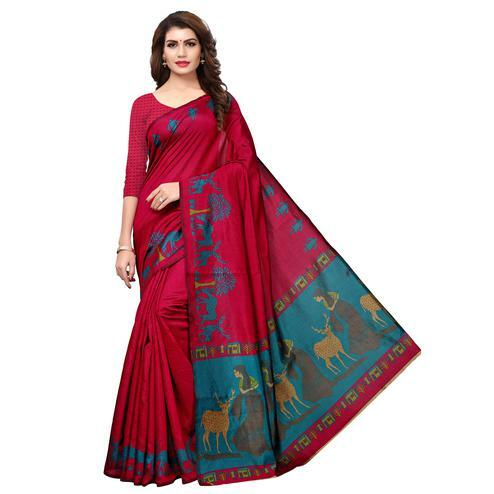 You can wear this saree for casual and regular wear as it provides comfortable feel all day long.